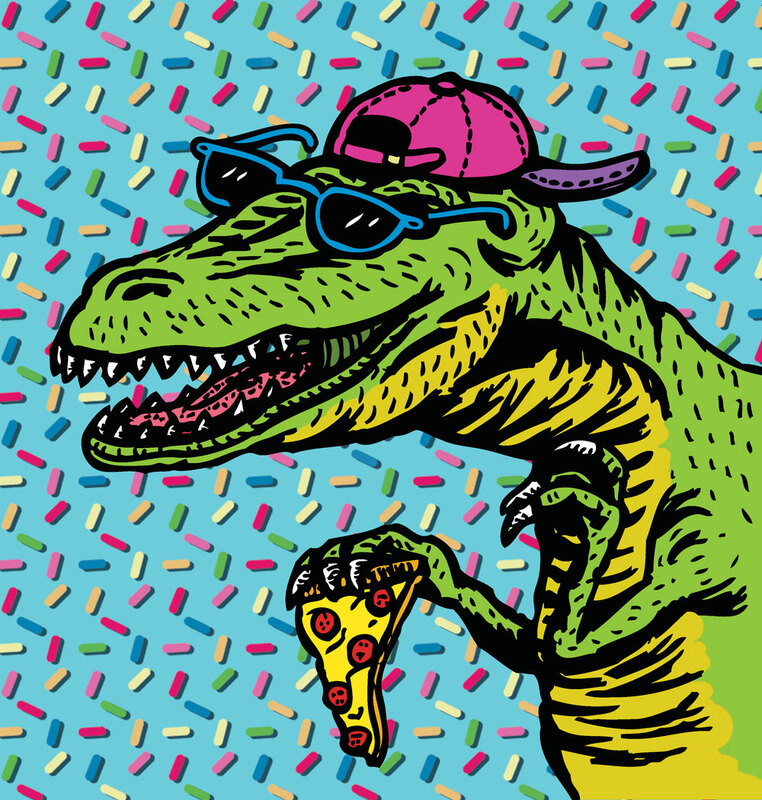 Rad-o-saurus Rex by Steve Ardo. Identifying as a punk who just happens to be gay, Steve Ardo is a local freelance illustrator and graphic designer for Buffalo’s “do it yourself” music community, and also serves as an artist/designer for the Aluminum Records label. His work includes over 2 years of hand-drawn flyers for basement punk shows in the city in an ongoing series affectionately titled Buffalo (hand)Bills. A survivor of some of the worst things in life with a lot of stories to tell from his long journey, he is currently trying to make a living designing T-shirts, tour posters, logos, album art, and more for bands and musicians. He will be participating in Chroma, Glow Gallery’s LGBTQ art exhibition for Pride Week, and when he’s not drawing monsters, dinosaurs, or animals he can be found dancing and skanking in the pit at local punk shows.